Site Management: Erewash Borough Council, Friends of Forbes Hole. 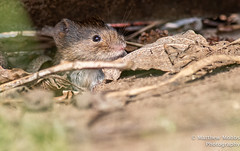 For anyone wishing to join the Friends of Forbes Hole, and volunteer an active role in managing the site (or assisting with flora and fauna identification and recording), then you would be very welcome to join our group. Working parties take place on the reserve throughout the year, in conjunction with Erewash Borough Council. Wildlife habitat and site management tasks can range from general litter picking, hedge planting and tree pruning, through to timber based construction and repair projects. Membership of Friends of Forbes Hole is free, and details of future working parties can be found in the Programme section. The area of Long Eaton is situated on the low-lying River Trent floodplain. During the early 1800s gravels were extracted from these sediments for use in ballasts along the railway embankments. This created a series of ‘borrow pits‘ which subsequently flooded due to rainfall, run-off, groundwater and from the numerous rivers and streams cutting across the area. 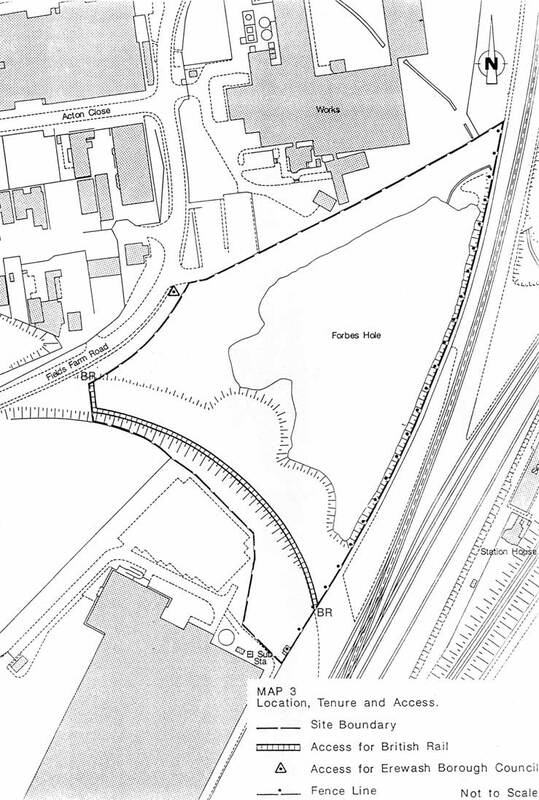 Forbes Hole was created in 1839 and is just one pond in a linear trend following the railway lines in the Midlands. It is not known how the site got its name though some of the older people of Long Eaton knew it as Thorbes Hole. Later research conducted by David Gell has led to speculation that Forbes’ Pond may have been named by the former Beeston-based Victorian conchologist, botanist and meteorologist, Edward Joseph Lowe FRS, FGS, FRAS, FLS (1825-1900), author of The Conchology of Nottingham, in memory of his friend and fellow conchologist Professor Edward Forbes FRS, FGS (1815-1854), although there is no hard evidence to support the theory. As yet, no other connection to the name Forbes as been found in Long Eaton, however, a Robert Thomson Forbes M.B., C.M. 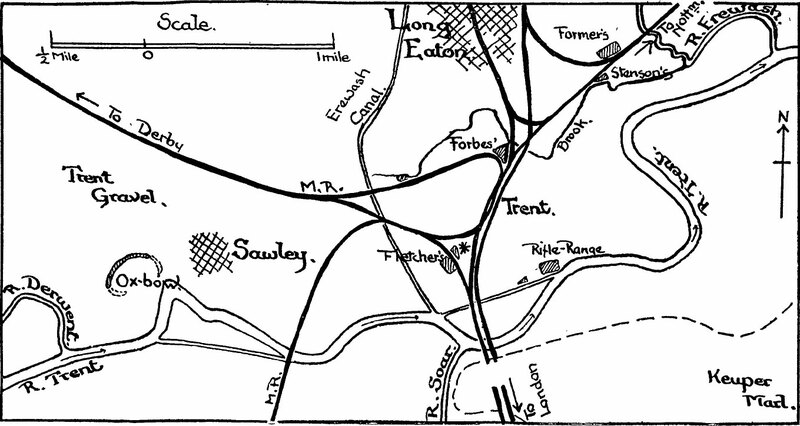 (surgeon/physician) was recorded as practicing at Derby Road, Sandiacre (source: Bulmer, T & Co. History, Topography and Directory of Derbyshire, 1895), which would have been even closer to the site than Beeston. Could he also have been an amateur naturalist or botanist, or could one of his relatives perhaps? 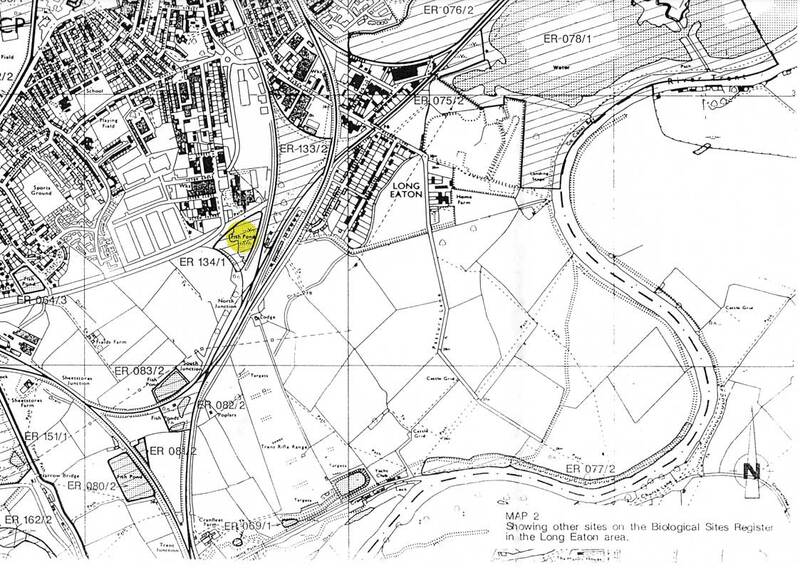 The reserve is 3.3 hectares in area and is bounded by the former Penn-Nyla site to the north, the railway to the east and Butterley Aggregate works behind, DHL’s depot to the south and Field’s Farm Road to the west. This is also the main access to the site. In 1982-3 the reserve was classified as a grade one site on the ‘County Biological Sites Register’ due to its extensive and well developed wildlife communities. 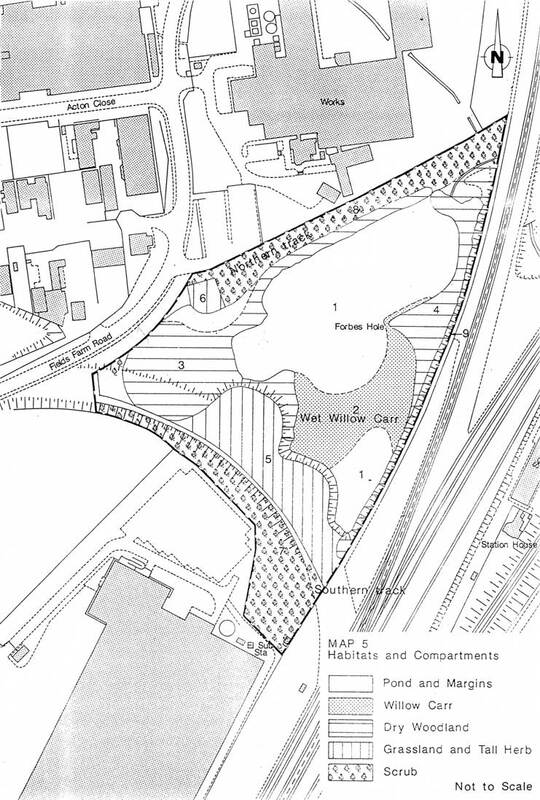 In March 1991 Erewash Borough Council purchased the site from British Rail after they realised the importance of the site both for leisure and recreational purposes. 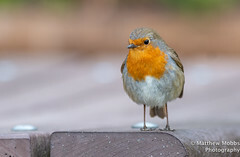 It was declared the Borough Council’s first Local Nature Reserve on 6th November 1991. 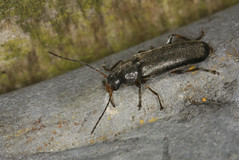 Since its aquisition the site has had many parties looking after its interests including Friends of Forbes Hole, the Derbyshire Wildlife Trust and Groundwork Derby & Derbyshire, who have actively taken part in an extensive management plan and monitoring scheme. Forbes Hole Location, Tenure and Access map – Source: DWT Management Plan for EBC. Forbes Hole LNR pub. 1991. Forbes Hole Habitats and Compartments map – Source: DWT Management Plan for EBC. Forbes Hole LNR pub. 1991. Forbes Hole Area Biological Sites Register map – Source: DWT Management Plan for EBC. Forbes Hole LNR pub. 1991. 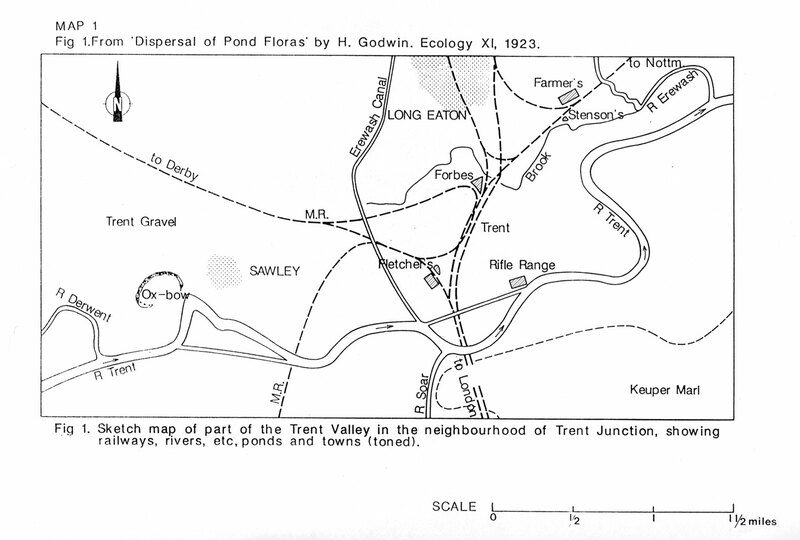 Godwin’s Ponds map 2 – Source: DWT Management Plan for EBC. Forbes Hole LNR pub. 1991. 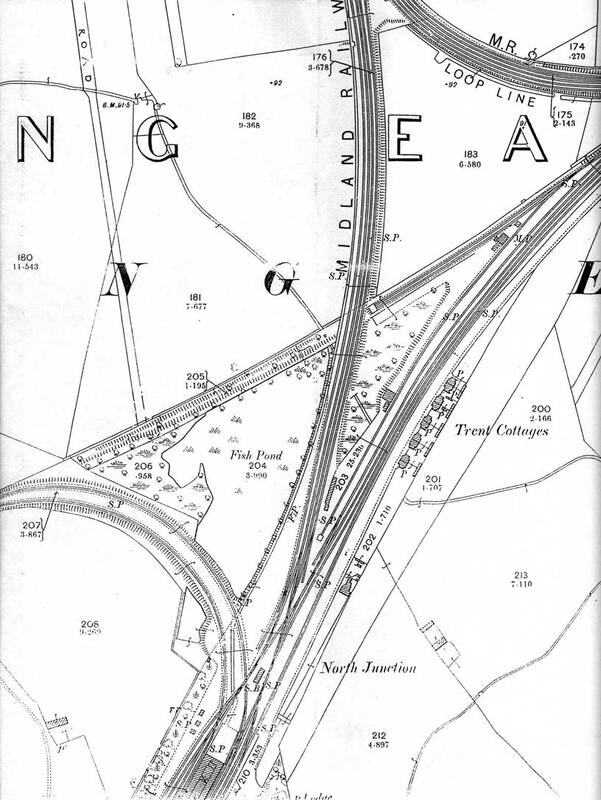 Forbes Hole 1910 map – Hydrology showing Forbes’ Pond (Fish Pond), route of stream and adjacent Midland Railway network in 1910. Source: DWT Management Plan for EBC. Forbes Hole LNR pub. 1991. Please also see Forbes Hole reports in many of our bulletin publications.